I want these in my ears right now! They're so whimsical, and even match one of my very first scrapbook pages from 10+ years ago. So cute! 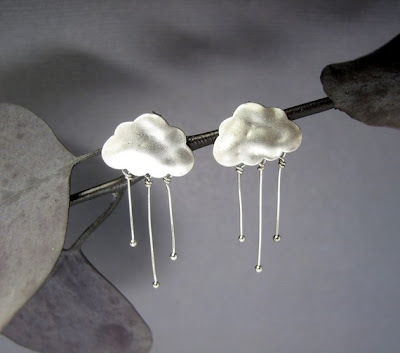 I saw a similar thunderstorm necklace on etsy and thought it was precious! I'm a gold girl though; I almost never wear silver. Thank you so much for featuring my earrings! These are just toooooooooo cool! Love them love them, love them!! !